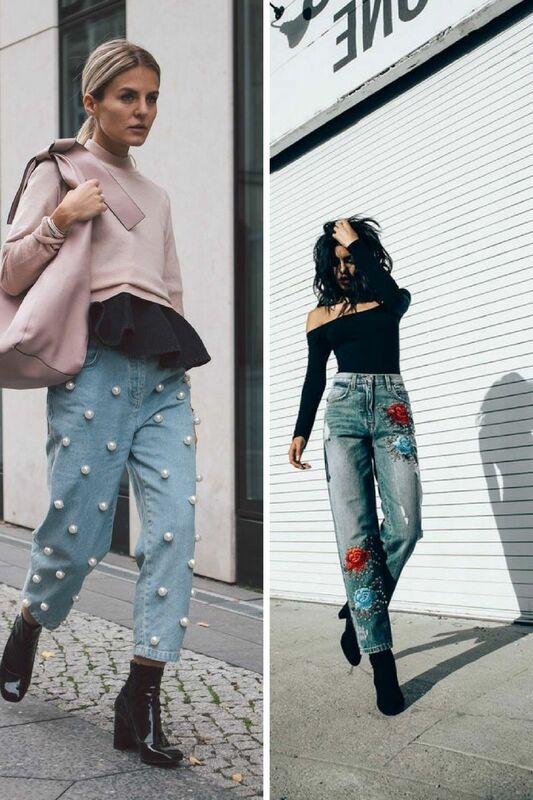 If there is a must-have clothing staple you should try next Spring, then it’s embroidered jeans. Jeans might be the only garment that will never go out of style. It’s impossible to find a woman who has no denim in her closet. That’s why designers always try to find ways how to update these jeans and today we have a chance to see different jeans style complemented with all kinds of embroideries, starting from white pearls, butterfly embroideries to funky and sweet floral patches. No matter what is your style, every woman gonna find here something special and interesting for her casual and everyday walks in the town.